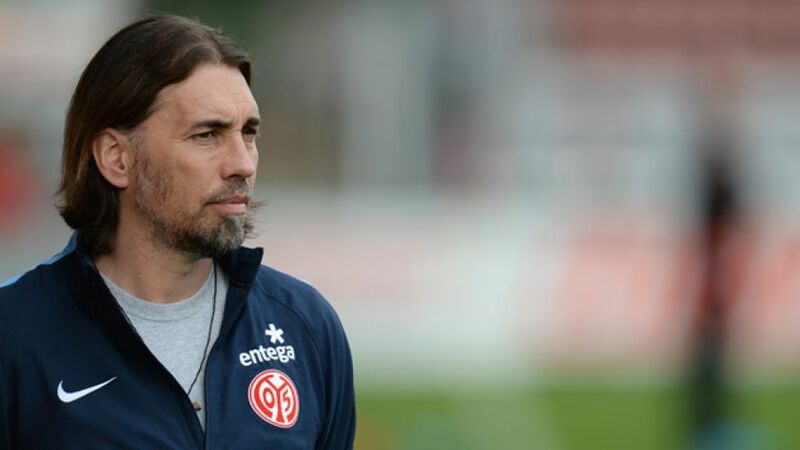 Bundesliga | Who is Mainz's petrolhead coach Martin Schmidt? Who is Mainz's petrolhead coach Martin Schmidt? He may look more like a rock star than a football coach, but Martin Schmidt is the man masterminding 1. FSV Mainz 05's remarkable rise to the upper echelons of the Bundesliga standings. The Swiss tactician took the reins at the Coface Arena after the departure of Kasper Hjulmand in February 2015 with Mainz sitting 14th in the standings and in real danger of dropping into the second tier. With Schmidt at the helm, the 05ers went on to finish 2014/15 in the safety of 11th, recording a famous victory over local rivals Eintracht Frankfurt in his first game in charge. It has been in 2015/16, however, that Schmidt has begun really to leave his mark. What is his background and at what level did he play football? Born in Naters in the Swiss canton of Wallis on 12 April 1967, Schmidt took his first footballing steps with local club FC Naters, whom he joined in 1976. He would go on to play for the club in the lower leagues until 1998, but his playing career was cruelly curtailed by no fewer than seven different cruciate knee ligament injuries. Such is his affinity to his homeland, though, that his Mainz squad camped in the Alps at 2,700 metres as a bonding exercise over the winter break, before Schmidt introduced the players to his family. According to British newspaper The Guardian, Schmidt is also a childhood friend of new FIFA President Gianni Infantino. What did he do after he retired from football, then? While Schmidt made his name in football as a talented youth coach as opposed to a player, he is a man of many talents off the field of play. A trained mechanic, he managed a successful garage for ten years and, if that was not enough, until recently he was also still involved in the running of a textile company with his three sisters - as well as once trying his hand at ski instructing. As a youngster, Schmidt earned his pocket money tending his family's cows and sheep. When did his coaching career take off? What are his strengths as a coach? What has he achieved since taking charge?